Record Name Staple Crag. An early post glacial occupation site. 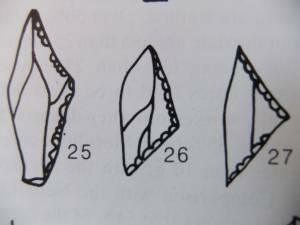 Record Description Lithic finds which include a non-microlithic (tanged) trapeziform backed point of Late Upper Palaeolithic character, large isosceles triangle microliths, rod microliths of Early Mesolithic character. 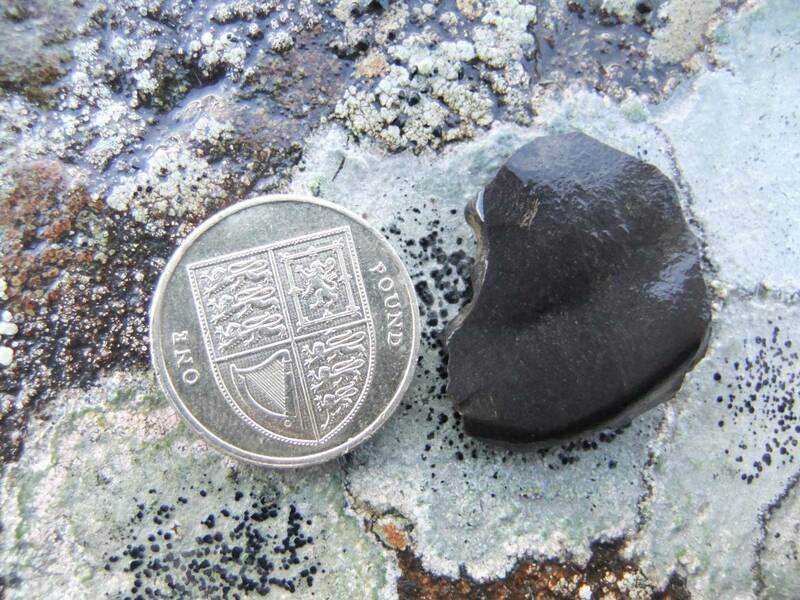 A perforated shale disc was present.The raw material included 75% flint and 25% black Pennine Chert. and flint (75%). 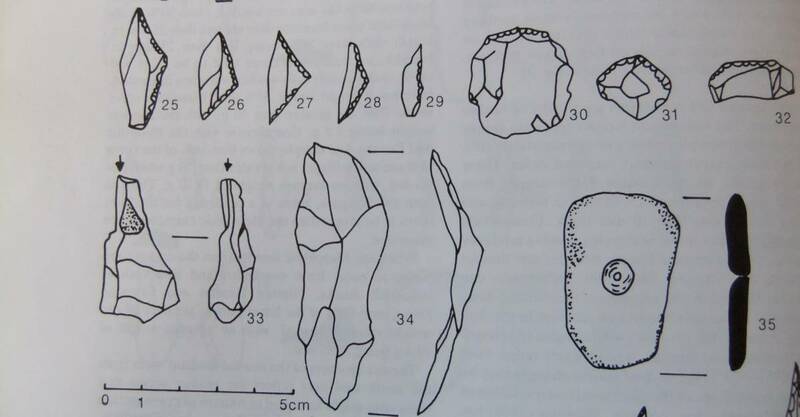 These lithic finds were collected during a number of years by the late Dennis Coggins having been washed out at the base of an actively eroding bank of river silts at the lower end of the river gorge below The Low Force. This site has been consolidated to prevent further erosion. 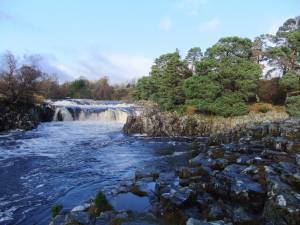 These finds from Staple Crag are all of similar character and provide evidence for the existence of a small hunter camp below Low Force at around 10,000 years ago (The typology of the lithic finds indicate occupation and activities based on hunting here during the Early Post Glacial (LUP) or Early Mesolithic Period). 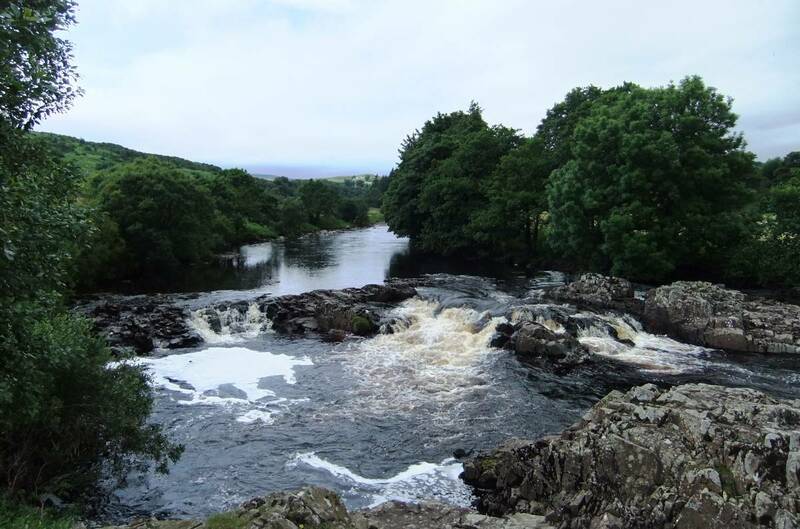 This lithic evidence, togethere with finds of similar age at a larger site a mile upstream of Barnard Castle, from Towler Hill, is the evidence for the earliest human activity in Teesdale. 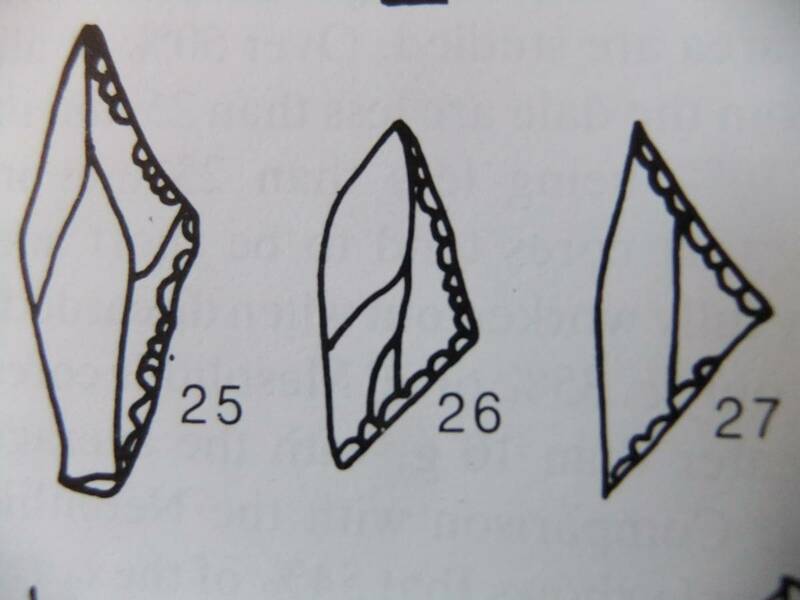 Reference: Coggins, D. Laurie, T. and Young, R. 'The Late Upper Palaeolithic and Mesolithic of the Northern Pennine Dales in the light of recent fieldwork.' In: Clive Bonsall,Ed. 'The Mesolithic in Europe.' Papers presented at the Third International Symposium. Edinburgh. 1985. Additional Notes The Early Post Glacial vegetation of Teesdale: open grass land with earliest colonising juniper, willows, dwarf birch and bird cherry was soon to be followed by birch, pine and hazel. 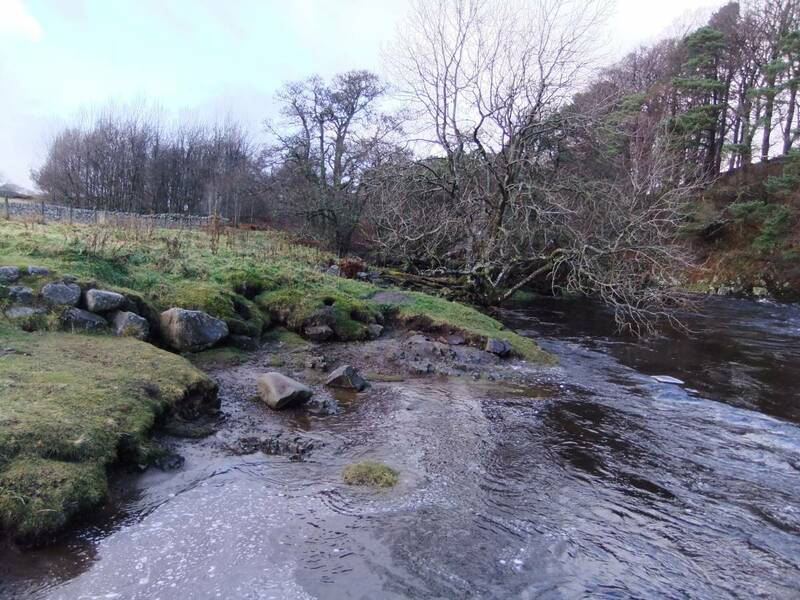 All of these tree and shrub species are to be found elsewhere in Upper Teesdale today, together with the 'Teesdale Arctic-Alpine Rarities' including for example the spectacular yellow flowered Shrubby Cinquefoil (Potentilla fruticosa)which lines the river banks in places, see photos and (very rarely, here)dwarf birch (Betula nana) at its southernmost limit in Britain. 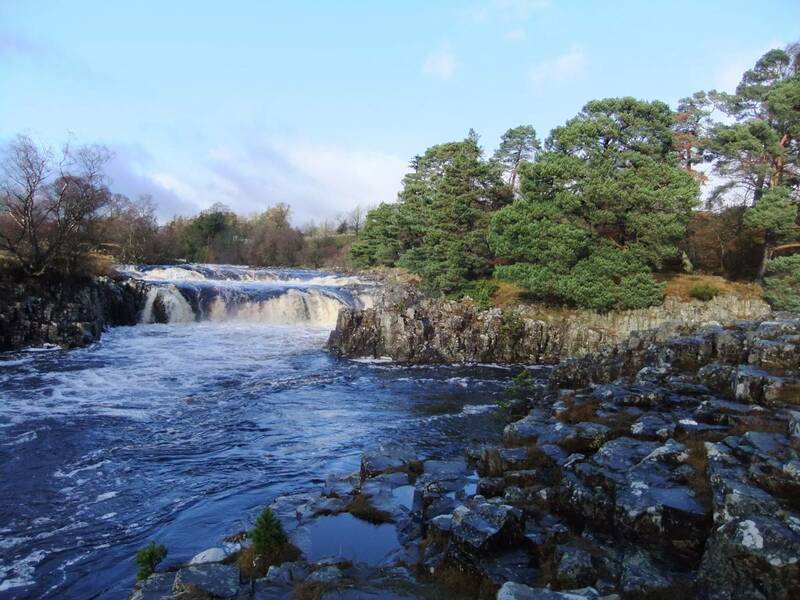 Image 1 Description Scots pine of very native appearance grow on the whinstone at lower of the three waterfalls which comprise The Low Force. Pine birch and hazel woodland covered the whole of Britain during the Early Mesoltihic period around 10,000 years ago. Image 2 Description Shrubby cinquefoil can be seen below this, the higher of the three ravine waterfalls at The Low Force. 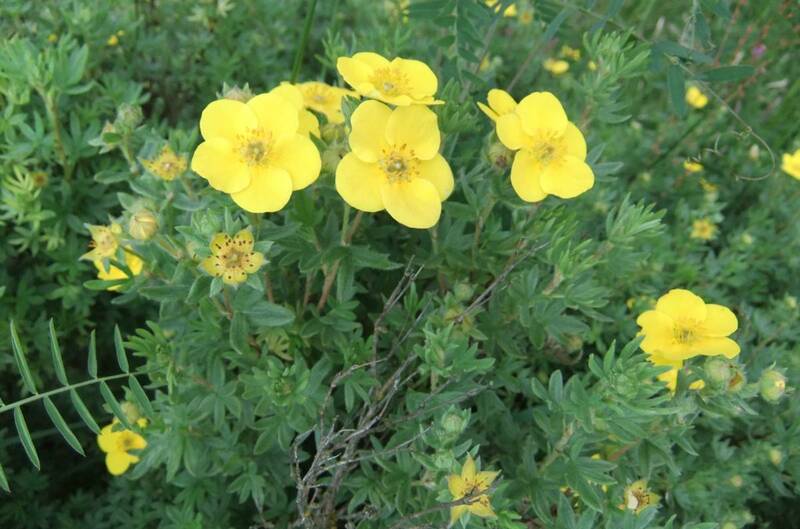 Image 3 Description Shrubby cinquefoil, a late glacial survivor. Now to be seen on the arctic tundra and at very few locations in Britain. Image 4 Description Staple Crag after consolidation of the bank which prevents further erosion (and exposure of finds) of the site. 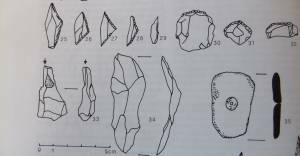 Image 5 Description Selected lithic finds from Staple Crag. Image 6 Description Non microlithic tanged trapezoidal point and tarpezoid microliths from Staple Crag. 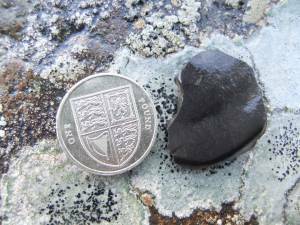 Image 7 Description Hour glass perforated shale disc from Staple Crag. Image 8 Description Black pennine chert flake with retouched notch from Spaple Crag. 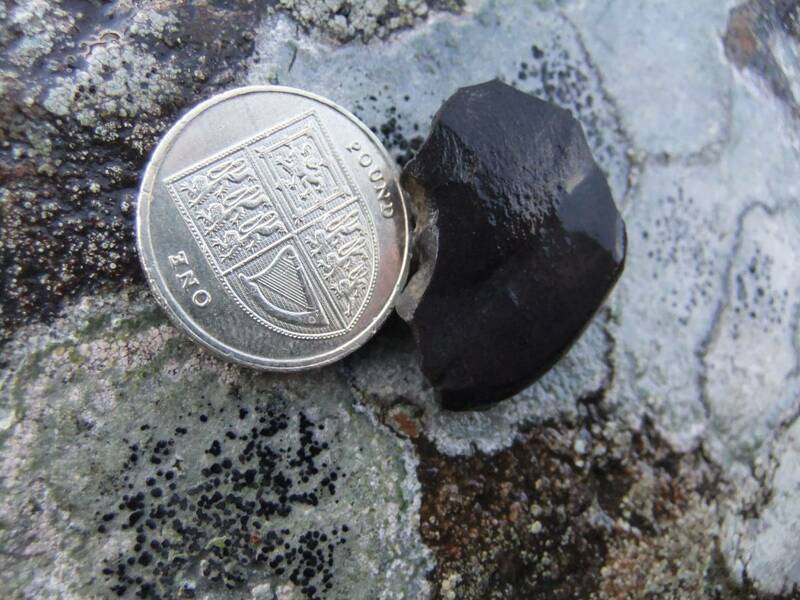 This is the only lithic recovered from the river gravel since consolidation of the site. Image 9 Description The same flake. 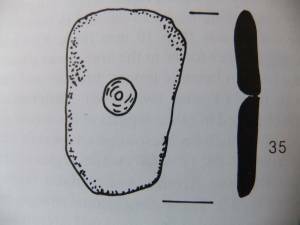 Flakes with retouched notches, interpreted as spokeshave arrow shaft formers, are a frequent componant of mesolithic (not LUP) sites. The mesolithic has been defined by the invention of the bow and arrow- a step change in human evolution when the earlier Palaeolithic hunters possed only spears.